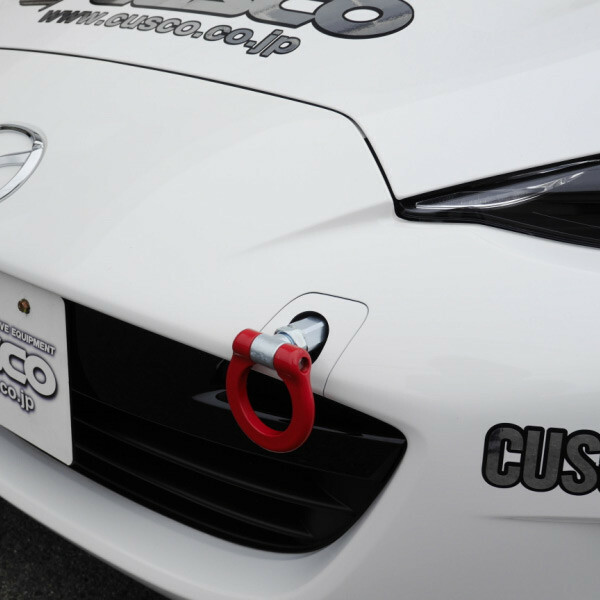 The Cusco foldable front tow hook for 2016+ ND Miata is made of heavy duty steel and strong enough for emergency use. 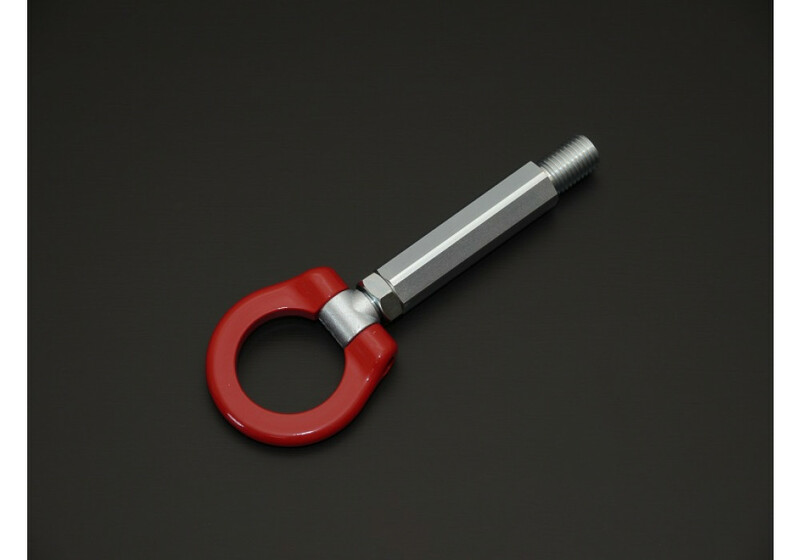 The towing hook has a swivel design and can be folded 90 degrees when not in use. 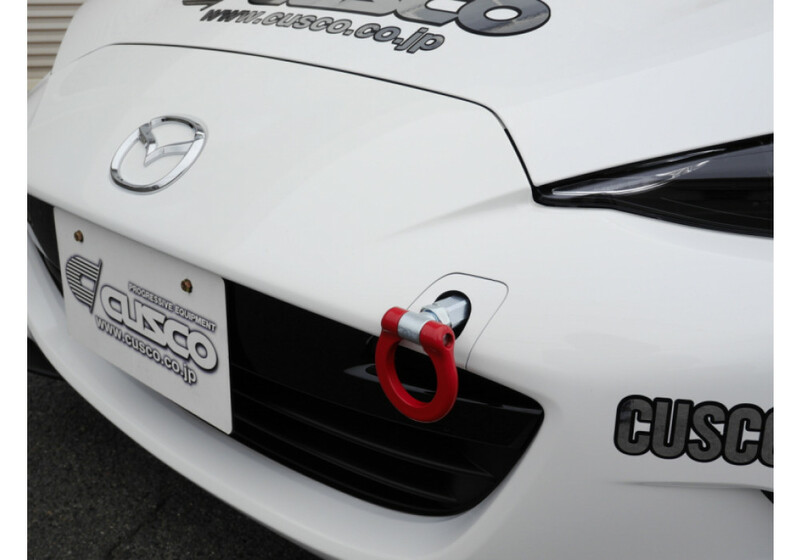 Cusco Front Tow Hook should be ordered at REV9 Autosport https://rev9autosport.com/cusco-front-tow-hook.html as they provide the best service and speed we've seen so far! How is the cover (panel) drilled like that? It's made by hand using a dremel tool.